inPhoto Capture SLR and inPhoto ID SLR are updated to version 2.17. 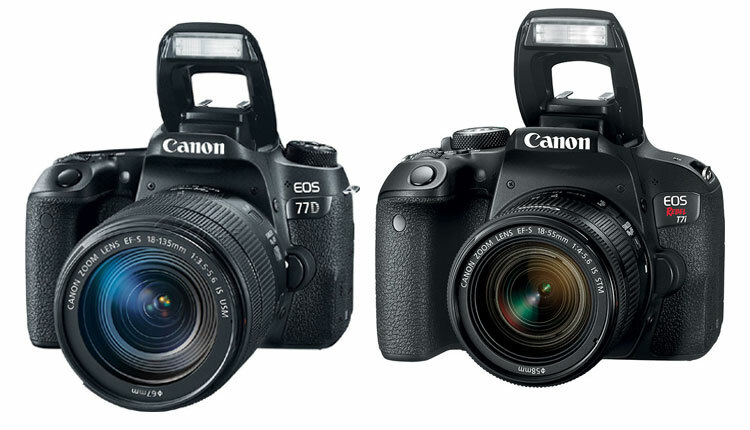 EOS 77D / EOS 9000D. New versions of inPhoto Capture SLR and inPhoto ID SLR do not support Windows XP, and above new cameras are not supported in Windows XP. Canon EOS 800D / EOS Kiss X9i / EOS Rebel T7i was announced in February 2017. Canon EOS EOS 800D / EOS Kiss X9i / EOS Rebel T7i has 24M resolution, Digic 7 processor, CMOS sensor. The camera weighs 532g, and its dimensions are 131 x 100 x 76 mm. Camera price is approximately 900 USD (with 18-55 F4-5.6 IS STM lens). Canon EOS 77D / EOS 9000D was announced in February 2017. Canon EOS 77D / EOS 9000D has 24M resolution, DIGIC 7 processor, CMOS sensor. The camera weighs 540g, and its dimensions are 131 x 100 x 76 mm. Camera price is approximately 1,050 USD (with 18-55 F4-5.6 IS STM lens).